Pre-dreadnought Suffren. The 164.7 mm/45 (6.5") guns are in the small turrets. 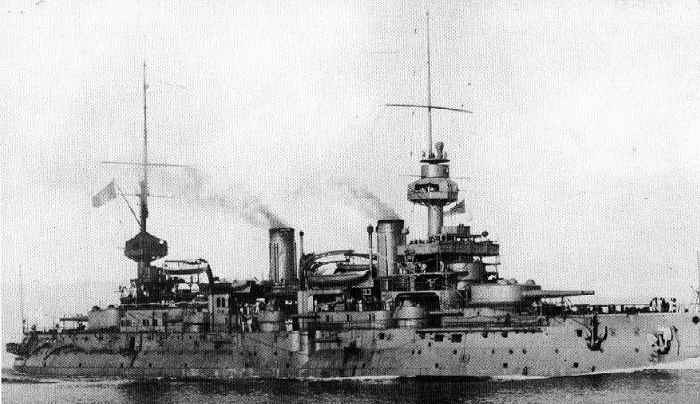 Secondary guns on pre-dreadnoughts and armored cruisers of the 1890s and early 1900s. Used as railway guns during World War I and as coastal artillery during World War II. Built-up construction with an interrupted screw breech.